Posted on April 30, 2016 by Tom Richardson Posted in Monitor kids . We can’t imagine our life without Facebook. However, such sites have some threats for us, about which we should know to protect ourselves and our children. Because of such social websites like Facebook there are a lot of dangers that could be harmful for kids. So, it is extremely important for parents to learn about these threats and don’t let the children suffer from them. Nowadays Facebook is the most popular social network, and no wonder that children want to be a part of it and just be in the swim. Only 18-year-old people could sign up on Facebook. In spite of it, a young user could choose another, larger date of birth and welcome to the virtual world! Furthermore, if Facebook IT-workers notice some minors, they are able to alert the account settings of an unfair user. Other people cannot search for minors and watch to shared materials, this is a privilege for people whom the children know. Having an age limit doesn’t matter so much because there is still a menace to a minor Facebook user. 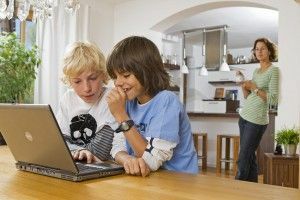 The majority of children may not understand that the virtual world has a lot of dangers and threats both for a child and family. Because of that, the parents should talk to their children and make minors realize what kinds of menace they may find on Facebook and what to do in such cases. Talk to kids about the importance of protecting personal data, show them its necessity, because this information could be seen not only be their friends and classmates. Look on what your child is sharing. Very often there are photos and other materials that shouldn’t be seen by others and which may harm a minor in future. Don’t forget to send a friend request. A child should realize that you are always here and monitoring his or her activity. Due to the ability of other users read the personal data, your child could be one to cyberbylluing. Unfortunately, there are kids who committed suicide because of that, so it’s dangerous for absolutely all of us. 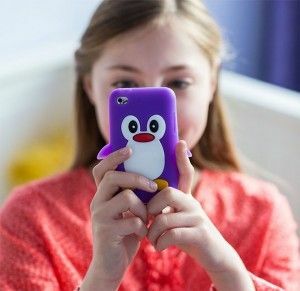 So, don’t let your child to get the messages from strangers and share personal data with them. You don’t know what kind of person the stranger is and what he or she really wants from your child. Online impostors are waiting for sincere children to make them suffer, so it’s up to parents and family to protect their kids and make them understand that other people could lie to them. Facebook is not only a mean to communicate with friends and other users. Besides, there are a lot of games and quizzes that may be unsafe. Such apps can manipulate the children and make them let the app steal the data and even install this app on the computer. To prevent this, use a reliable anti-virus program that will protect your personal information. Feel free to use an app like mSpy. It will help you to monitor your kid’s Facebook activity. No doubt that the first thing you should do is just talking to your children, but an app like mSpy will make you sure that your child is in safe and none of his or her activity could cause dangers.